***ONLY 3,749 MILES FROM NEW! *** BIANCO ISIS EXTERIOR PAINT! FRONT EXTERIOR CARBON FIBER PACKAGE! FULL ELECTRIC AND HEATED SEATS! SPORTIVO INTERIOR WITH ALCANTARA! SUEDE LEATHER STEERING WHEEL! REAR EXTERIOR CARBON FIBER PACKAGE! PARK ASSISTANCE PACKAGE! GRAY BRAKE CALIPERS! HOMELINK! NAVIGATION! FRONT SUSPENSION LIFT SYSTEM! SATELLITE RADIO AND SO MUCH MORE! 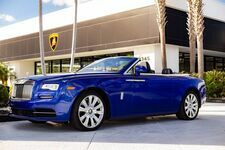 Thank you for visiting another one of Lamborghini Palm Beach's online listings! 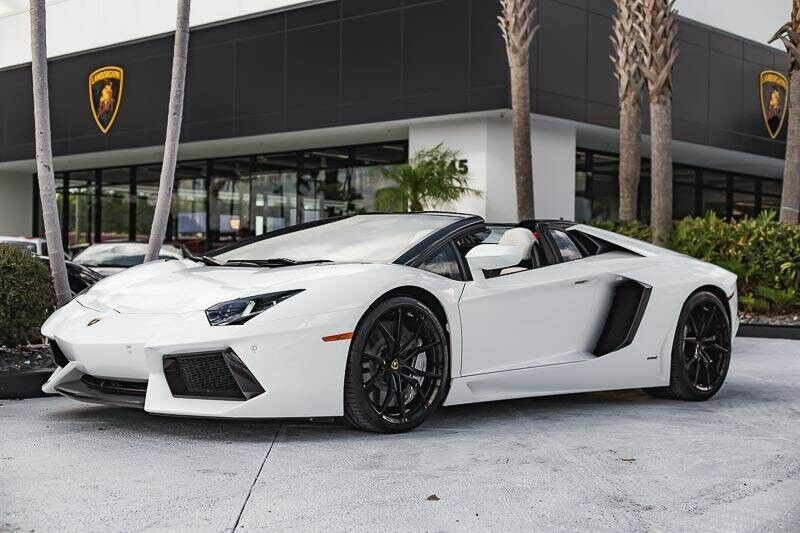 Please continue for more information on this 2015 Lamborghini Aventador Roadster with 3,749mi. CARFAX BuyBack Guarantee is reassurance that any major issues with this vehicle will show on CARFAX report. You'll see the world in a whole new light when you slip behind the wheel of this impressive 2015 Lamborghini Aventador Roadster. Quality and prestige abound with this Lamborghini Aventador. When driving an all wheel drive vehicle, such as this, superior acceleration, traction, and control come standard. More information about the 2015 Lamborghini Aventador: The 2015 Aventador is the latest, greatest supercar offering from Lamborghini. The car is a tour de force of technology and internal combustion. Few other cars exist in the stratosphere of performance and exclusivity in which the Aventador lives. The McLaren MP4-12-C costs less, but it has four fewer cylinders and can't match the Aventador for sheer performance. And while the Bugatti Veyron nearly doubles the power, it also quadruples the price. When examined next to its competition, the Aventador is a bona fide performance bargain. 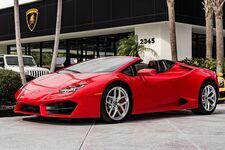 Interesting features of this model are exclusivity, luxury appointments, technical sophistication, and Incredible performance and blistering acceleration Come join our family at Lamborghini Palm Beach, where your buying experience is most important to us.